This is the first course in our 2-course Testifying Workshop. 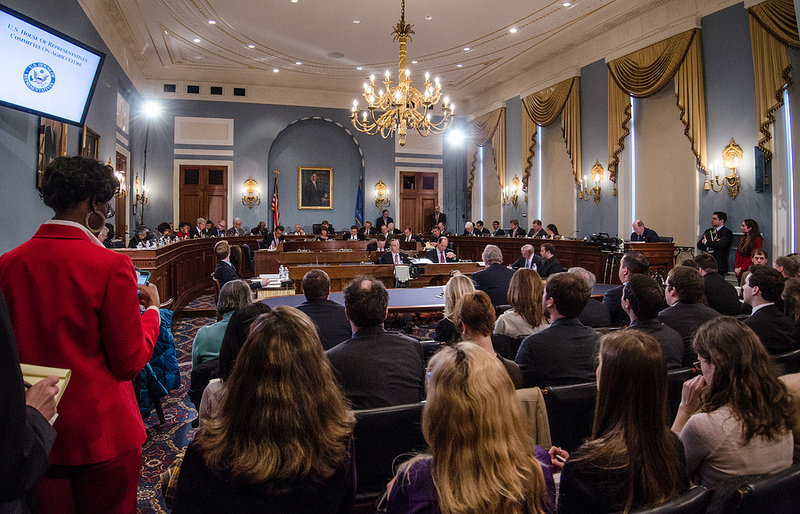 The second course is Delivering Congressional Testimony: Advanced Practicum, offered the following day. 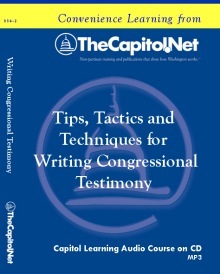 This course is designed to help anyone involved with preparing or delivering testimony before a congressional committee -- whether working in an agency, the military, business, an NGO, or an association -- to prepare and deliver that testimony more effectively at authorization hearings, budget and appropriations hearings, agency and business congressional oversight hearings, celebrity hearings, CEO hearings, and confirmation hearings. This course and any combination of its topics are available as custom on-site training for your organization. We have tailored this course for attorneys, military officers including flag level, foreign service officers, SES, political appointees, engineers, scientists, and others in agencies, military, national and state associations, and law enforcement. For more information about how this training can help your members and staff, please contact our client liaison. "This informative 'how-to' guide should be required reading for every new congressional staffer and for the congressional relations staff of every federal department and agency." We review the role of committees, types of committees and subcommittees, the hearing process in Congress, types of committee hearings, role of the committee chairman in hearings, the role committee staff play in deciding hearing subject matter, selecting witnesses, and preparing questions. A panel of committee staff members describe the work and organization of their committees, how these committees prepare for hearings, what staff and members expect from witnesses, and how witnesses from executive branch agencies and other organizations can build a good working relationship with committee staff before, during, and after hearings. 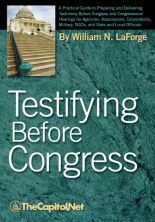 The staffers will also discuss what they, and members of Congress, believe makes effective testimony, and provide suggestions for witnesses preparing for hearings. The instructor reviews all aspects of testimony preparation, including research preparation, audience analysis and the process of persuasion, key documents to be prepared before the hearing and how to effectively use each one, and rehearsing and mock hearings. How to format and organize testimony in a way that improves oral delivery, review tone, body language, and gestures, and when and how to use visual aids during a hearing. Witness/member of Congress dynamics, the "art" of responding to questions, the importance of preparing written "Q-and-A modules" for all anticipated questions, and other important tools and techniques will be presented. Participants will view video footage of actual congressional hearings that illustrate key do's and don'ts. Homework distributed for those attending the Advanced Practicum the following day. This course and any of its topics are available as a custom 1-day or 2-day program with one-on-one feedback. Suggested Prerequisites None. 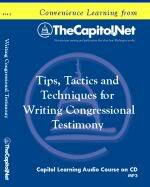 This course is designed for staff who prepare written testimony and for staff who actually testify on the Hill. This course is required for all attendees of Delivering Congressional Testimony: Advanced Practicum, offered the follwoing day. 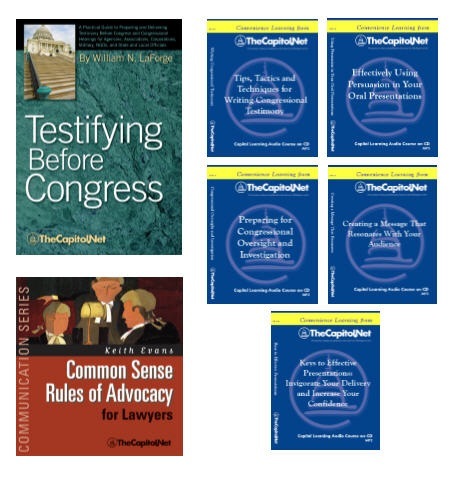 Taught by faculty who have a minimum of 10 years' experience working with and helping agency and corporate staff prepare for testifying before congressional committees.